Contemporary circus at its most thrilling. 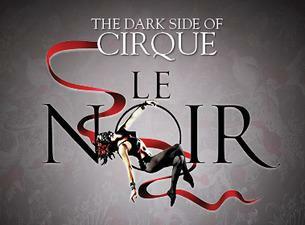 Experience The Civic transformed when the ultimate circus extravaganza, LE NOIR - the Dark Side of Cirque, finally arrives in Auckland. LE NOIR features over 20 of the greatest acrobatic and specialty acts on earth, including the heart stopping Colombian Wheel of Death. Performed in a spectacular 360 degree setting, audiences will be literally inches from all the heart pounding action. Fast paced, daring, seductive and extremely funny, LE NOIR is the ultimate night out and an electrifying theatrical experience – don’t miss it! Purchase Ringside tickets on stage and experience the sweat and the emotion of the artists up close. These seats will sell out fast – book today! Please note that beverages will be available from a bar on stage exclusively for Ringside guests. Presented by Auckland Live, Tim Lawson and Simon Painter.